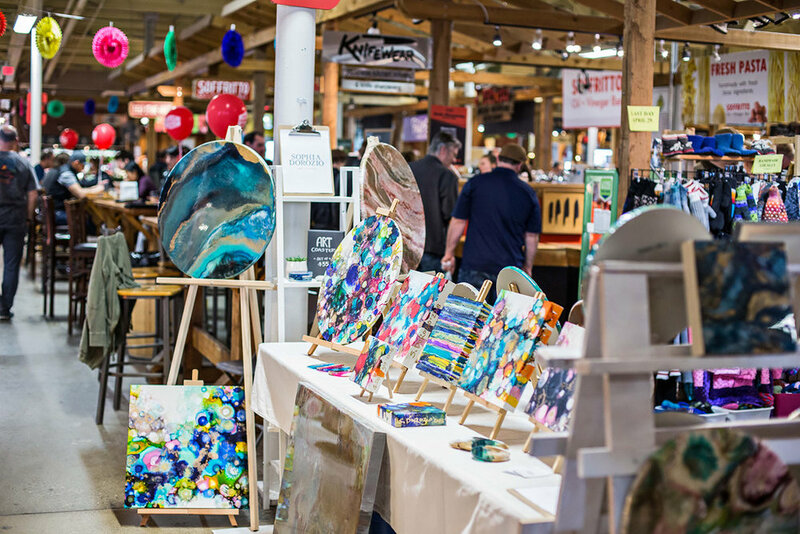 It was an amazing experience to be included in the Meet The Makers event at the Calgary Farmers Market in April. 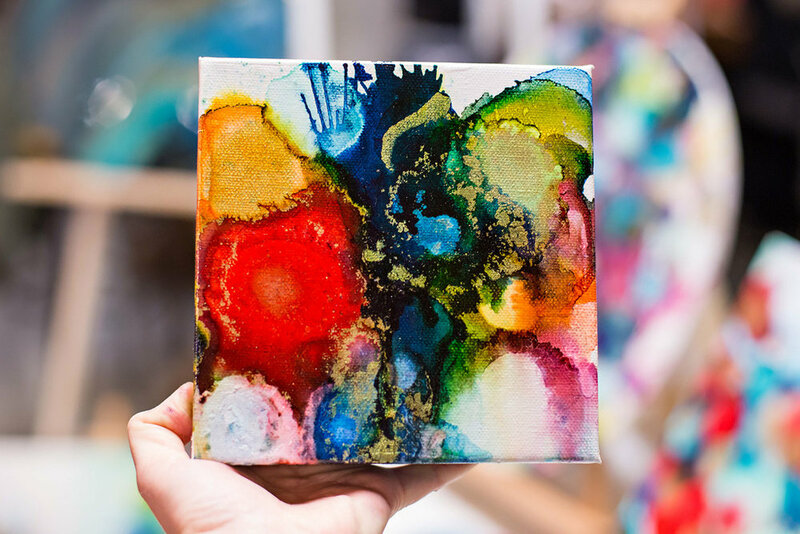 With the arrival of a long awaited Spring I had a creative energy that poured out into a whole new bright and happy body of work that I was happy to share at the Market. One of my favorite aspect of doing live events is getting to meet and chat with so many people that are interested in the process of creating and also love art - it gets me out of my little creative bubble where I am often working away on my own. Thank you to everyone who stopped to chat and visit and to new collectors for making my day!